Over the last few years of doing HGAT, I have received numerous emails from you guys giving suggestions for the next place to review, asking for recommendations, or even a simple hello! A frequent (and perhaps the most popular) message I have received has been to ask if there are any halal Korean restaurants in London. I receive this on an almost daily basis! There are a couple I guess, like Bo Drake or Superstar BBQ, but these are only limited to the chicken, and not much more. BUT I’m happy to say things may change now as I’ve made a little discovery yesterday by the name of Kinkao Korean! 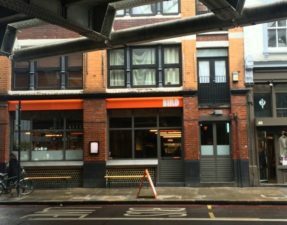 Kinkao Korean was once a Thai restaurant based on Brick Lane. 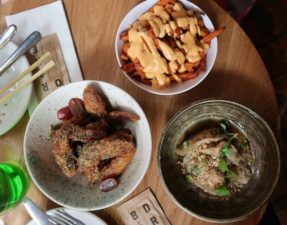 As of a few months ago, they have overhauled the whole menu and replaced the Thai dishes with Korean Fried Chicken, bibimbaps, and numerous bulgogis. Finally, a somewhat legit halal Korean restaurant in London! We made our way over there in a hurry. Although the honey butter was calling out my name, I decided to stick to the classic and go for the chilli sauce. 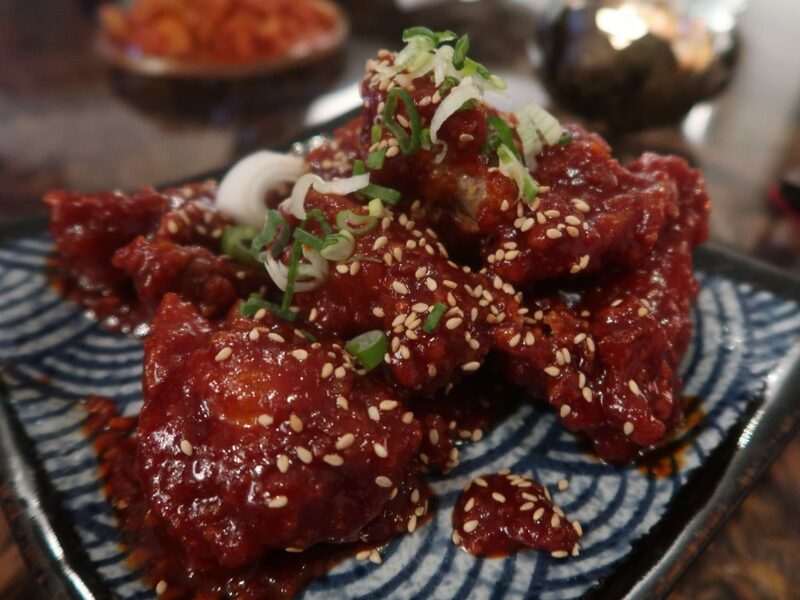 Large nuggets of fried chicken thigh arrived to the table, and were tossed in a chilli sauce and finished off with sesame seeds and spring onions. Unfortunately, the chicken pieces did not remain crispy due to the sauce and some of the pieces were quite chewy. The chilli sauce itself was a little too overbearing and had a slight grainy texture to it, which was a shame as it seemed so promising! 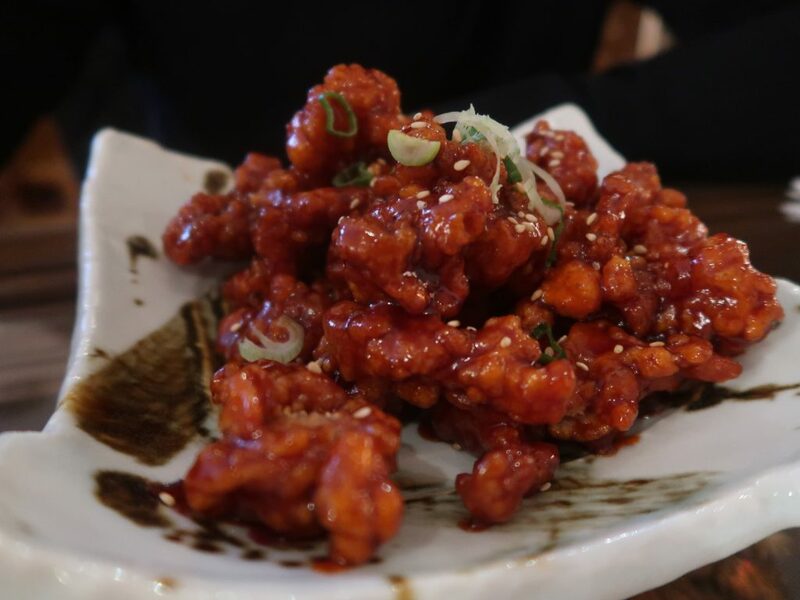 As BW is gluten-free, the KFC was a miss for him, BUT he got something even better – the crispy fried chicken with chilli plum sauce. Kinkao Korean coat the chicken in potato starch before pan-frying to give the chicken a delectable crisp and top with a light layer of sauce. This was so good that I left behind my KFC and focused on BW’s dish instead, much to his dismay. Is there such thing as a hug in a bowl? Well, this bibimbap is definitely it. 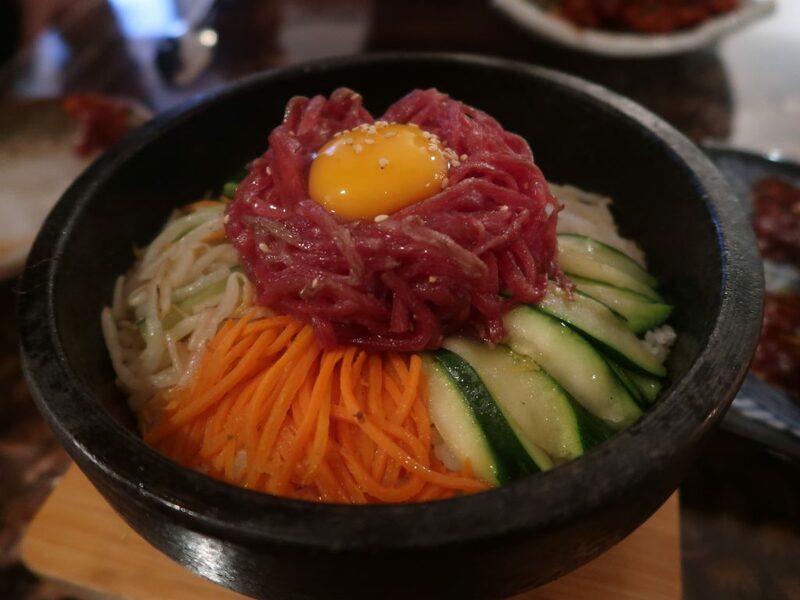 Bibimbap, literally meaning “mixed rice”, consists of rice, sliced vegetables, gochujang, protein (meat, chicken, tofu, fish), and either a fried or raw egg, all served in a hot stone bowl. As the dish arrives to the table, the rice around the edges will start to crisp up, before you pour in the gochujang (chilli sauce) and mix it all up. I opted for the raw beef bibimbap where you mixed in the thin slivers of beef until it reached a nice tender medium. The sesame oil added a subtle nutty flavour whilst the gochujang added a hot sweet and salty kick to the simple dish. I absolutely loved this and although we tried our best, we didn’t manage to even get through half. The total bill amounted to approximately £30 for two people, including drinks and service, so £15 each. Although we had only ordered four items between the two of us, we were completely stuffed as the portion sizes were humongous – this is what you call good value for money! 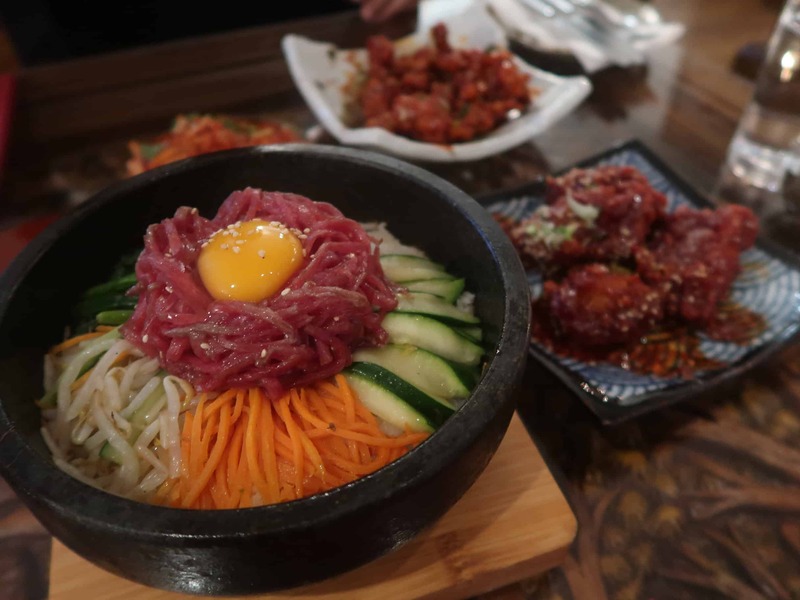 Kinkao Korean was something different, something new, and definitely a breath air in the halal restaurant world – here’s hoping this is just the start of halal Korean restaurants to come! – Halal status on all meats verified by the restaurant with certificates. No alcohol used in the cooking. – They have GF options. OHMYGOD! Finally! I’ve been a lurker of your blog for years and always wondered when a genuine halal korean restaurant would pop up! Looks like it was a great night too – I will definitely be rushing there after my exams.